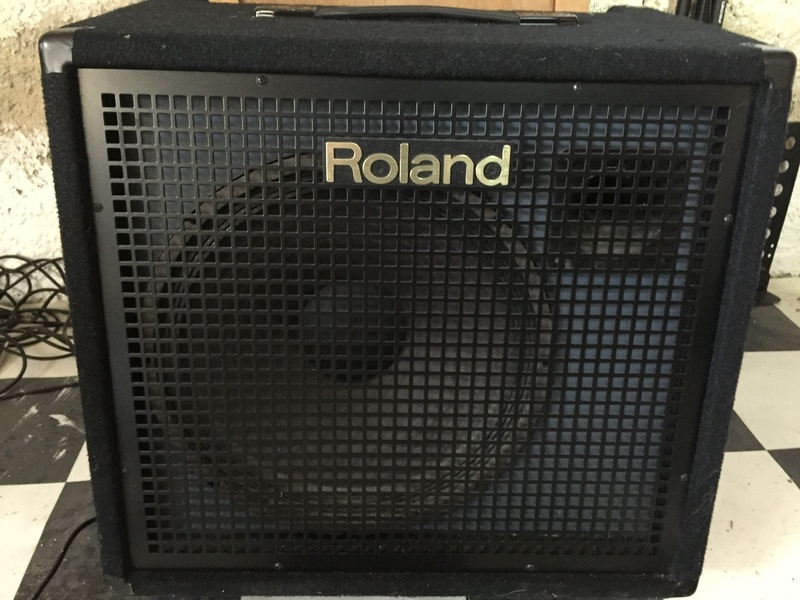 KC-500, Keyboard Amplifier from Roland in the KC series. 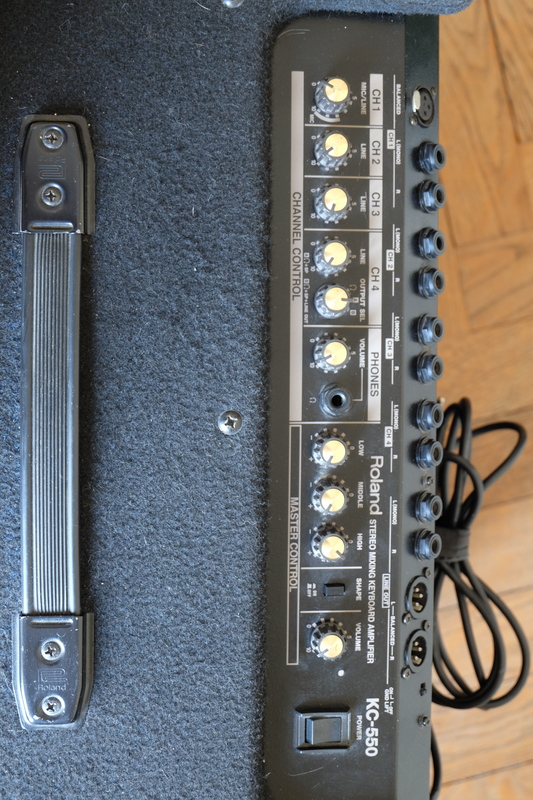 The Roland KC-500 is an 150 watt keyboard amplifier that is perfect for live shows. I don't own this keyboard amplifier, as I really don't have a use for something like this at home, but the keyboard player that I've played with most uses this for all of the live shows we play together. I've always been very happy with the sound we get from it, as is he. The amp has a four channel mixer, that can support either four stereo channels or eight mono ones, which is really more than enough but it's definitely nice to have the option if you are working with a few different keyboards or other instruments. The configuration of the Roland KC-500 isn't anything too hard to figure out how to use. To me there doesn't seem to be anything out of the ordinary about it, as everything is generally self explanatory. Some of the parameters the KC-500 has include those for volume for each of the channels, as well as a three band equalizer. Users will be able to catch on quickly without the assistance of a manual, but if you are new with amplifiers it might be a good idea to have it around anyway. 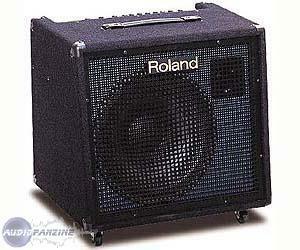 From my experience using the Roland KC-500, it definitely seems to be the perfect keyboard amp for live shows. I can't really see any other scenario where this amp would be necessary, but it shines for live shows. I guess you could use it as a practice amp, but it's definitely got more power and volume than you'd ever need in a practice situation, not to mention that it is extremely heavy. 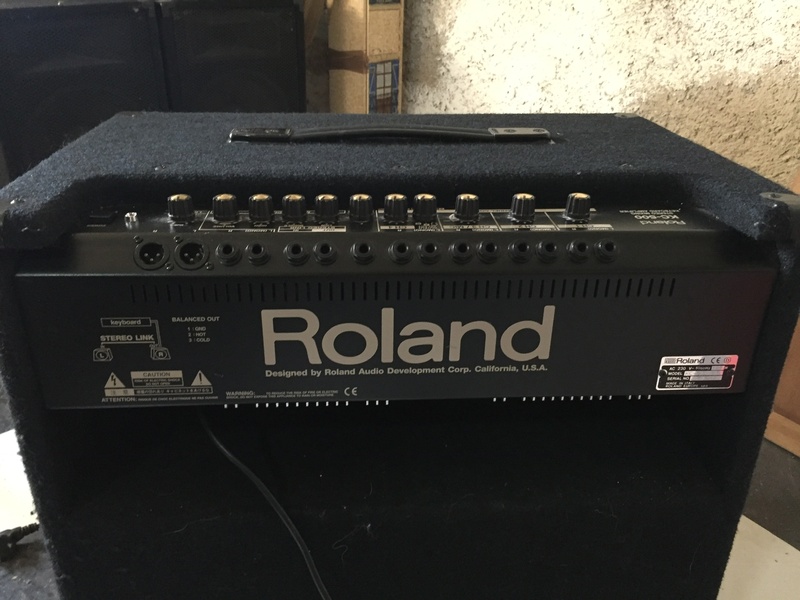 There are a number of different Roland keyboard amplifiers out there that are very similar to this one, but since they are no longer making the KC-500 it can probably be had a cheaper price than it would be to get a newer similar model. 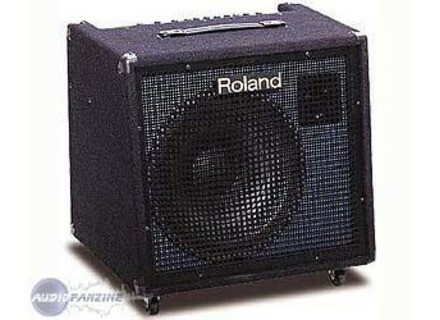 I've got nothing bad to say about the Roland KC-500 as I think it's an awesome keyboard amplifier for live shows. Possde stereo link function, to combine two amplifiers KC-500 to make the most of the output of the instrument Stereo. But all the input jacks and output are placed in a corner, which quickly tangling cables connecting over the control panel. Ma Premire use was intuitive, plug and ring on. The manual as it is useful for external connection but not rocket science. I just acqurir this amp and the height .... I am guitarist! And yes, I am one of those musicians coming out of the ordinary, the more I spar with my lights for this one, which one twin Montarbo an amp and a multi-fx GT-3 sounds I assure you! 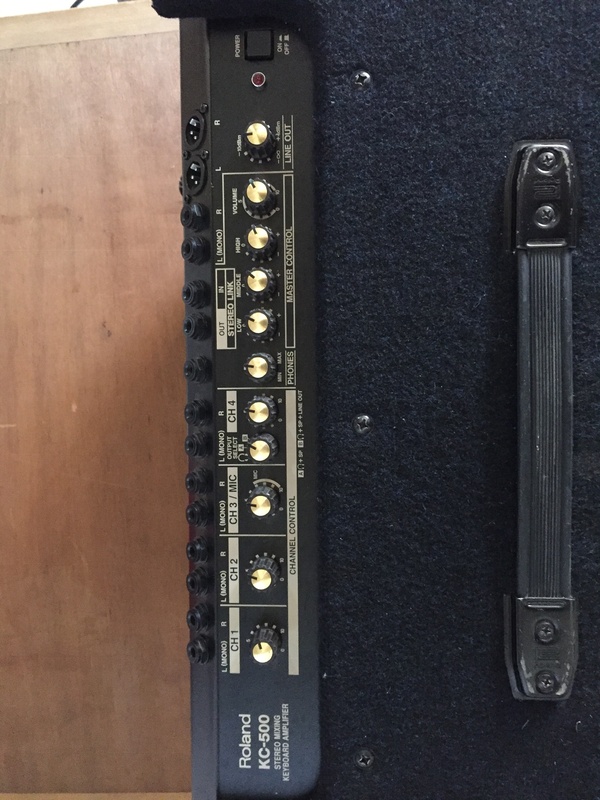 This combination (not me) is trs flexible for someone looking at all to connect a mic / keyboard / guitar and why not another audio source such as a box rate for example or piece prfr music via cd-player or another. In short, you want me to add more? I jou transistors on Marshall VS100 lights on Mesa Boogie DC-5 and for that I use (I prcise that the lamps are a must for a guitarist) and this amp versatile and trs trs sound good for use as high-volume low. Excellent quality price given the versatility of this amp I plugged a guitar player. and multi-fx, a synth, a CD player and a second amplifier to enhance bass dj who trs Submitted. In short, while the one for someone looking for a compact MODEL PSE all the same 31.5 kg for the dimensions of 590x448x591 mm. If c'tait again, I achte a second to play in Stereo.